Weï¾’re committed to keeping your business protected ï¾– so you can focus on your day-to-day operations. Protect Your Home and Everything In It. At Wilson Insurance, we know how hard you’ve worked to turn your house into a home. Since your home is one of the most important financial investments of your lifetime, you’ll need proper coverage in order to keep your investment protected and provide your family with the guarantee that they’ll always be safe and sound. Wilson Insurance is your trusted solution for homeowners insurance. We offer coverage options that are both flexible and affordable, and will work with you on an individual basis to find a policy that best suits your needs. Our team is dedicated to providing the assurance that your family and your possessions are secure. Accidents can happen at any time. Having the right insurance can protect your home and everything in it, as well as keep your property covered from damages and accidents. While standard Home Insurance can cover anything from fire and weather damage to injuries and theft, not all damages and accidents may be insured under a standard policy. That’s why it’s important to talk to an insurance specialist at Wilson Insurance about specific coverage options that are applicable to your individual needs. Don’t go another day without proper homeowners insurance. Keep your memories protected with the right policy from Wilson Insurance. 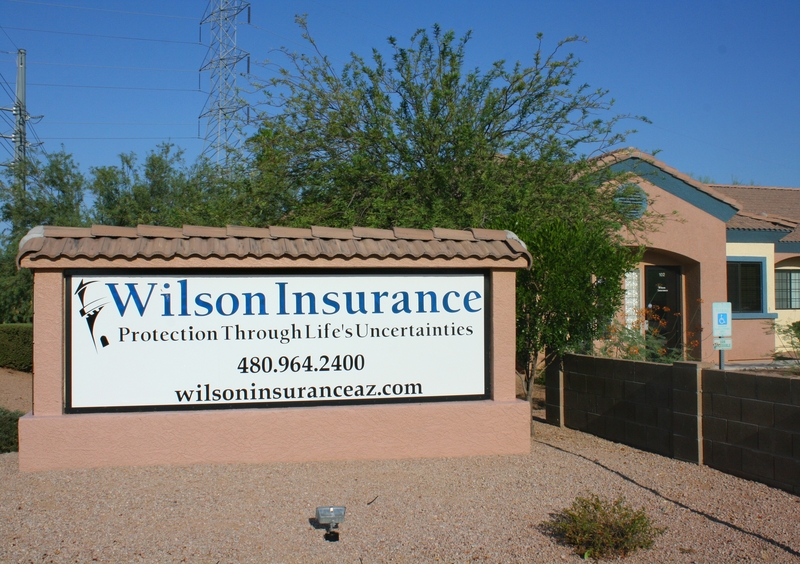 Wilson Insurance provides Home Insurance for residents near Utah, Gilbert, Chandler, Tempe, Scottsdale, and Phoenix. If someone is injured on your property, make sure your home and personal finances are secure with Homeowners Liability. Keep your belongings and the memories they hold safe with a Renters Insurance policy that won't break your budget. Protect your mobile home and personal property with coverage designed to work specifically with you and your budget. Safeguard your most precious possessions under a Scheduled Property Insurance policy to preserve your peace of mind. Secure the value of your rental property with a policy that covers your building in the event of damage and keeps you safe from liabilities. Give yourself the financial security and peace of mind knowing that your in-home business operations are protected. Wilson Insurance keeps on top of our insurance needs and always makes the right recommendations for us. We enjoy working with Wilson Insurance because of their courtesy, knowledge and helpfulness. They are such a pleasure to work with. We've chosen to stay with Wilson Insurance over the years because of their excellent customer service and communication. Wilson Insurance is the Best! They are very professional, offer great customer service, and they have an excellent variety of products to offer. I have enjoyed doing business with Wilson Insurance over the years. They strive to ensure our quotes are competitive and the best available. Weâ€™ve chosen to stay with Wilson Insurance over the years because they are knowledgeable and responsive to our needs. Proudly serving Utah, Mesa, AZ, Gilbert, AZ, Chandler, AZ, Tempe, AZ, Scottsdale, AZ, Phoenix, AZ, and surrounding areas.